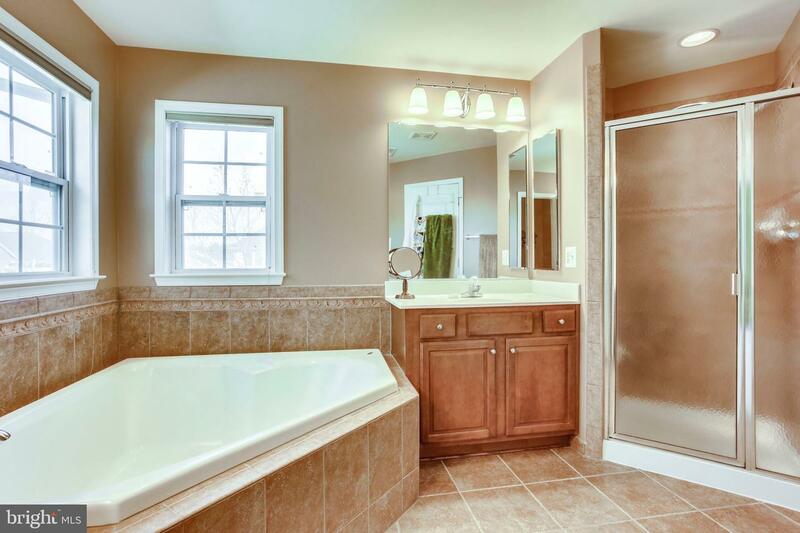 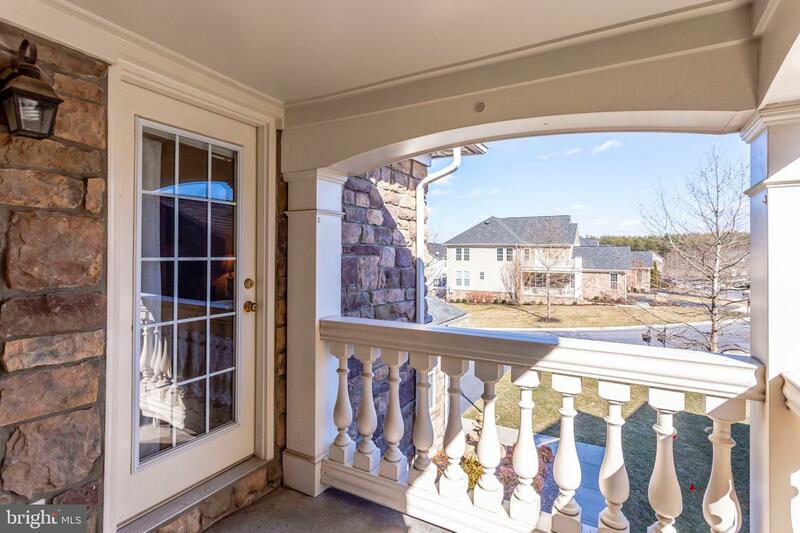 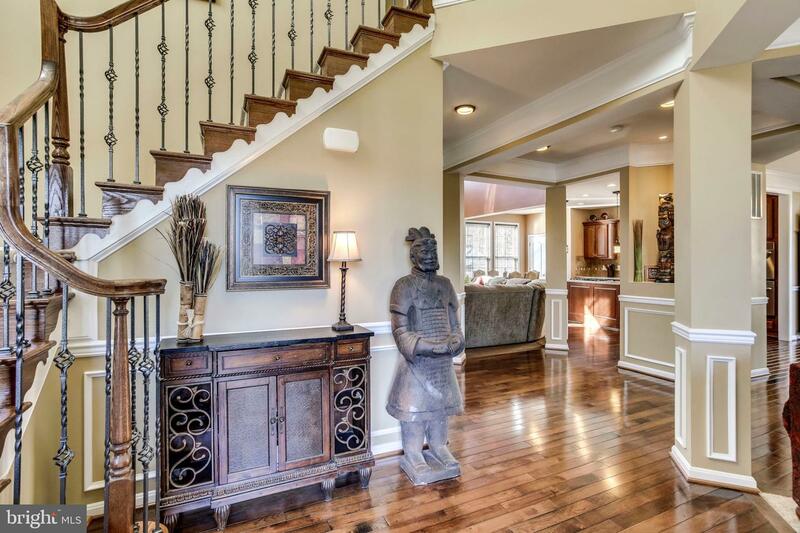 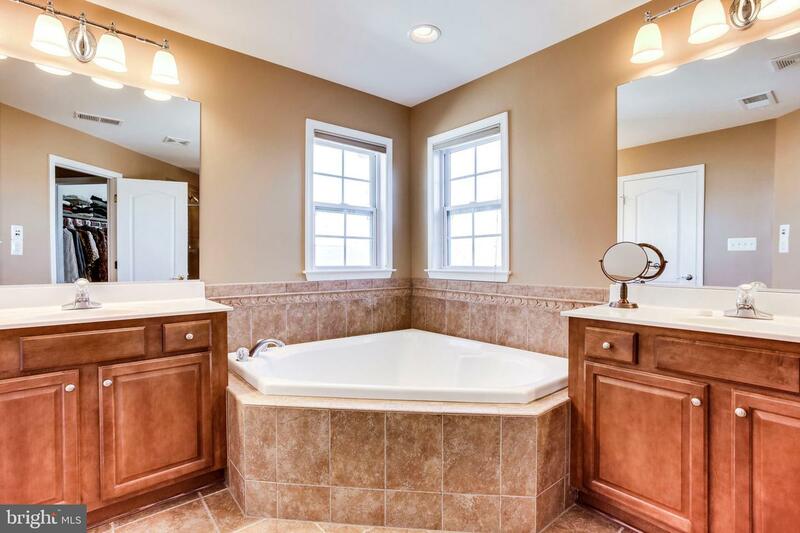 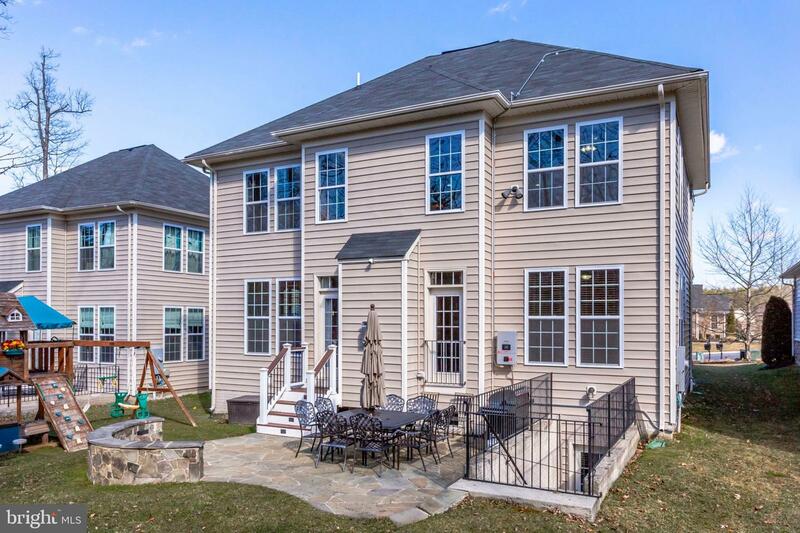 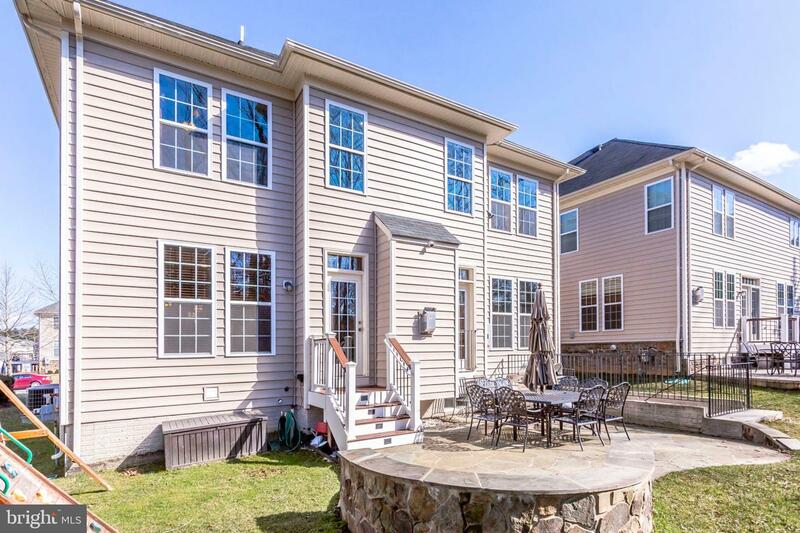 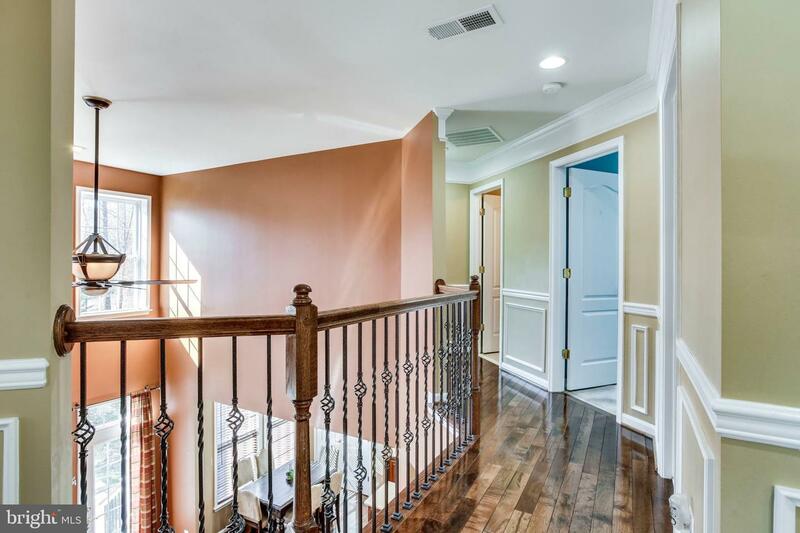 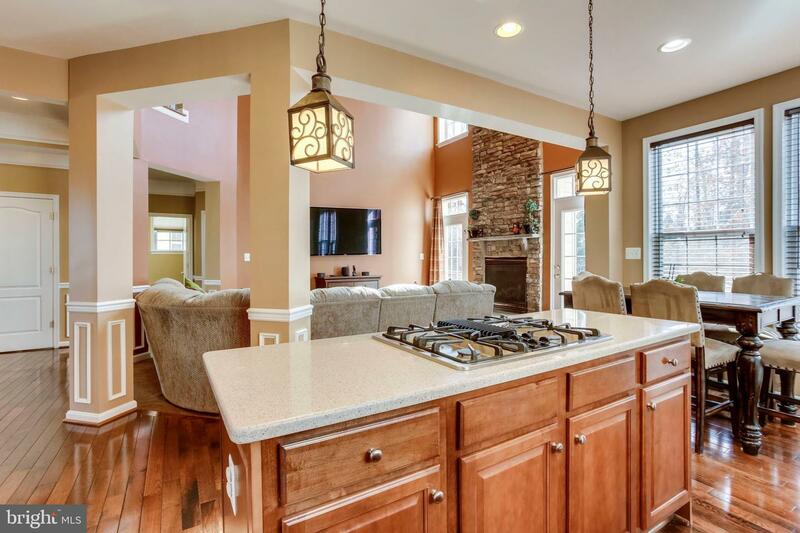 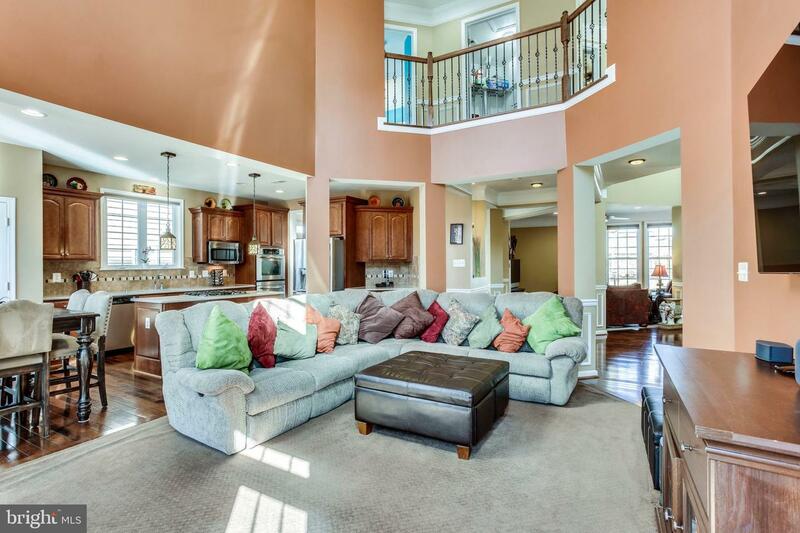 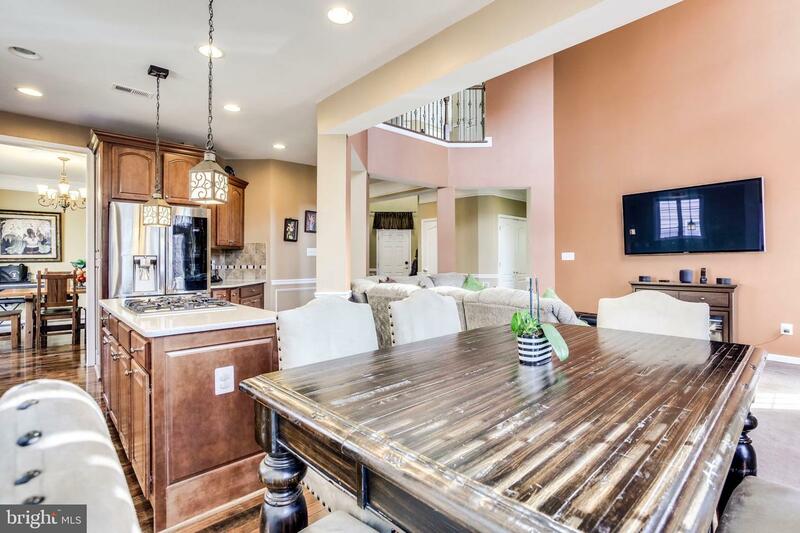 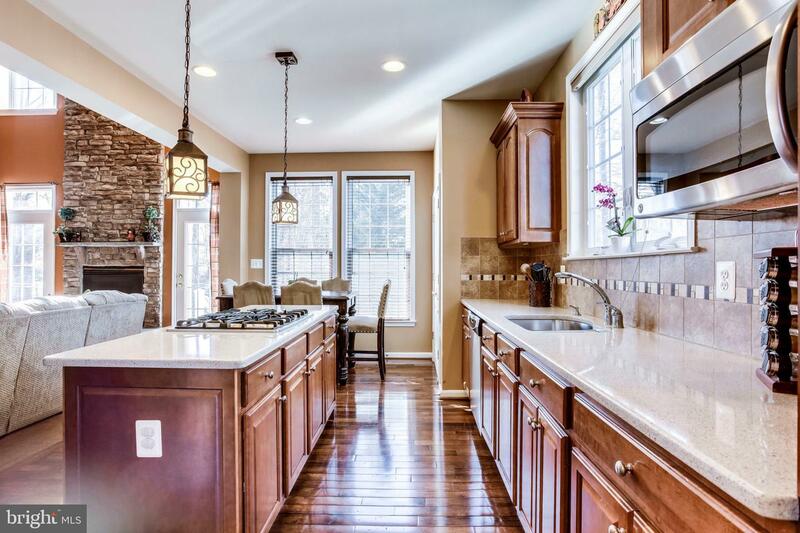 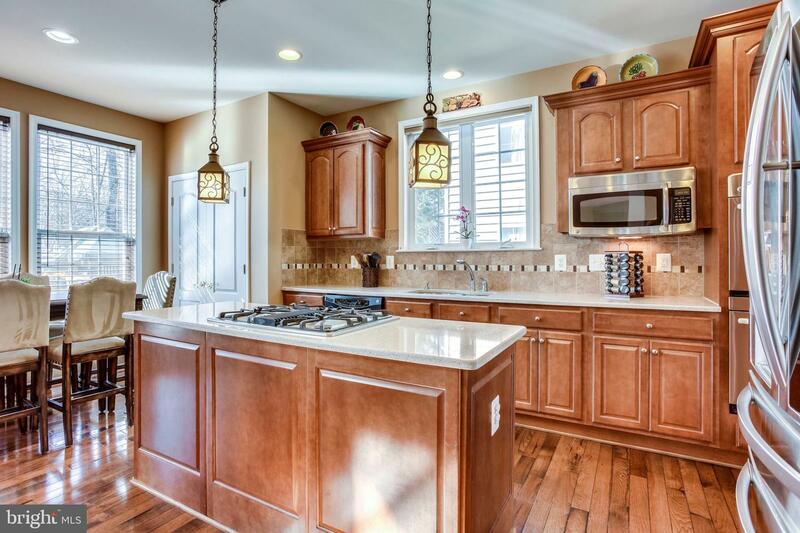 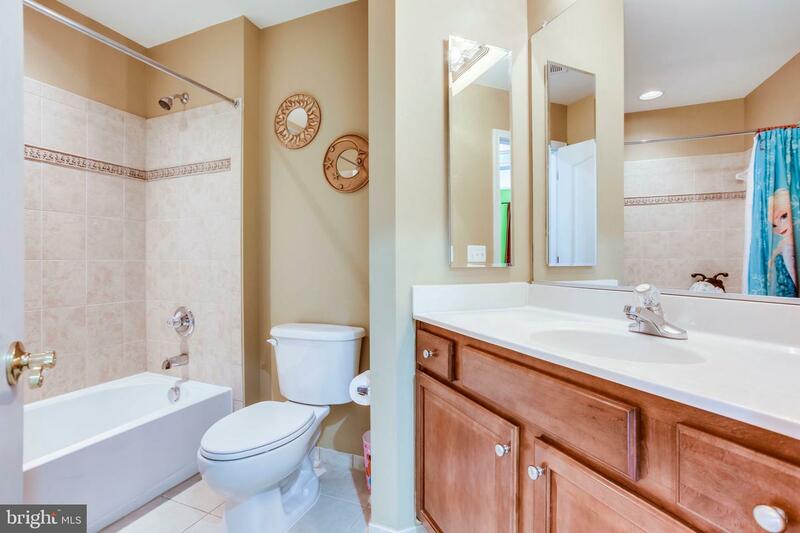 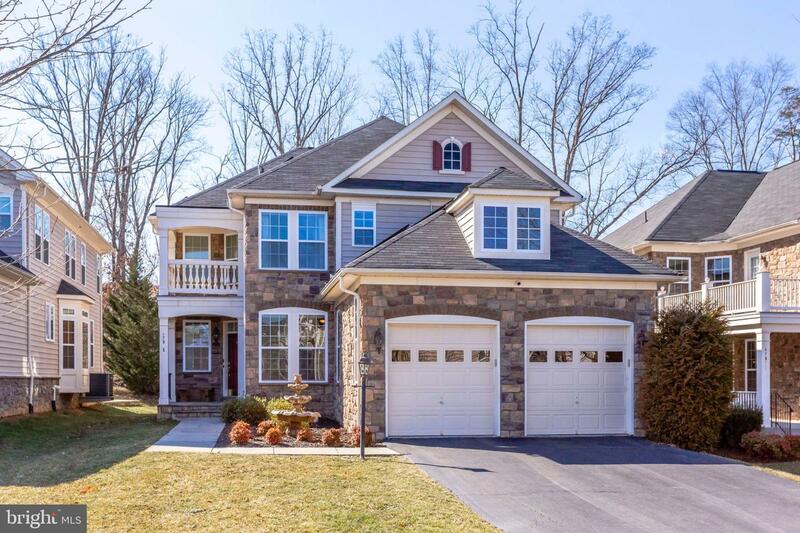 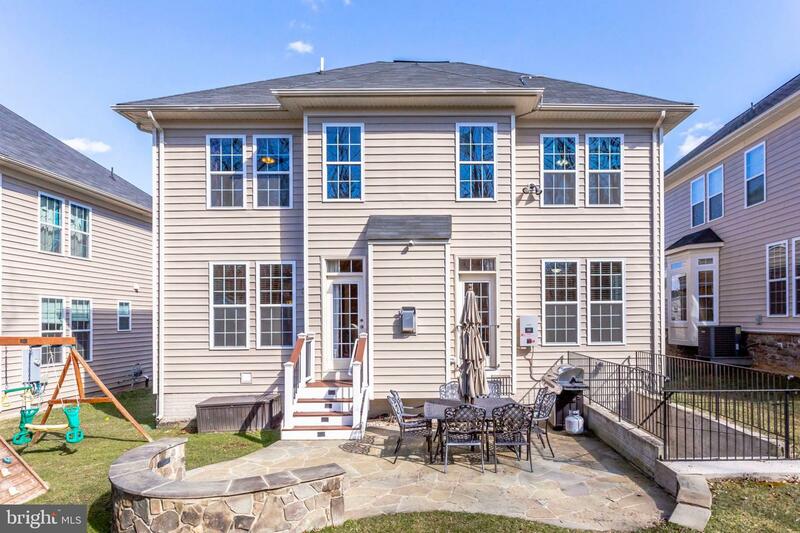 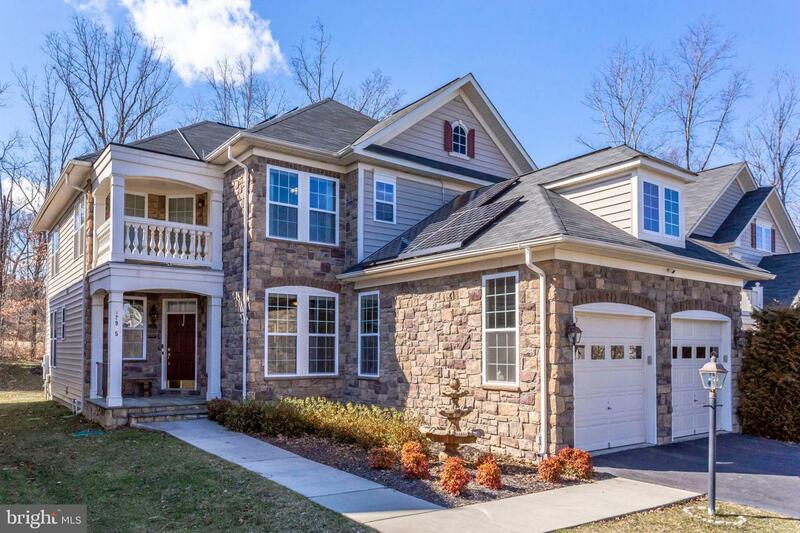 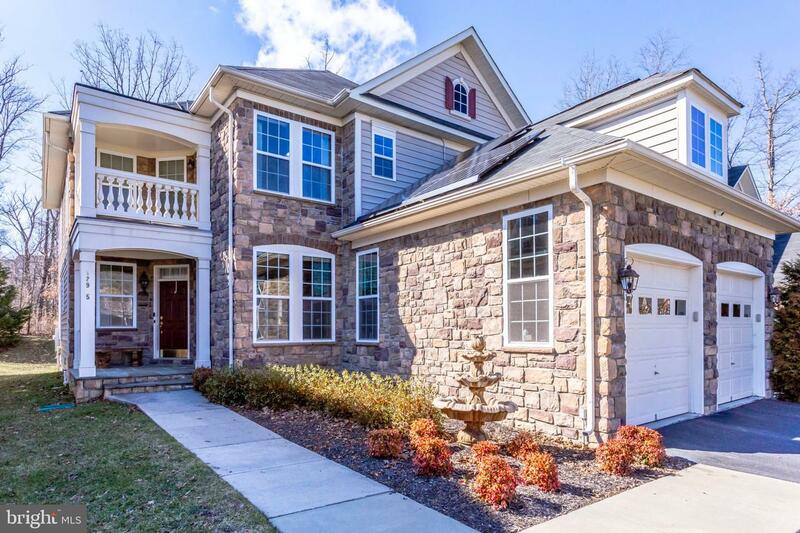 Incredible 4 bedroom, 4.5 bath home in Broadlands South with over 4,300 sq feet of finished space and 2 car garage! 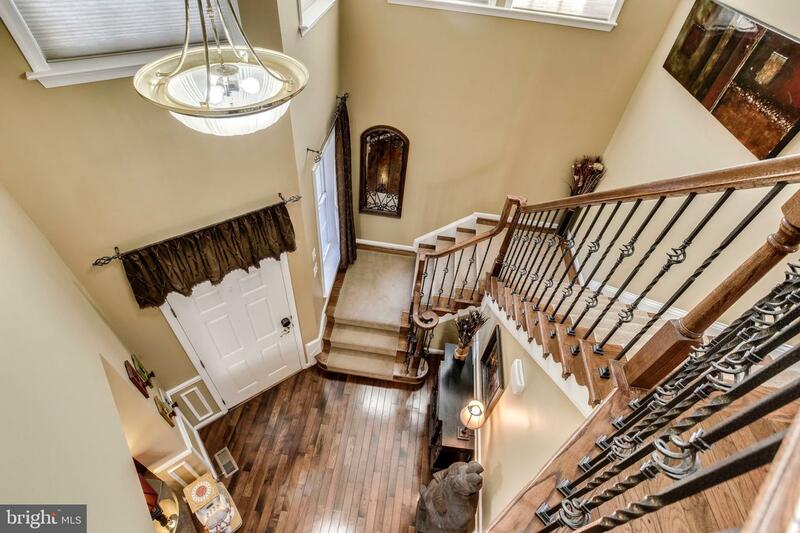 Built in 2007 by Van Metre and on one of the best lots in the community backing to trees/privacy. 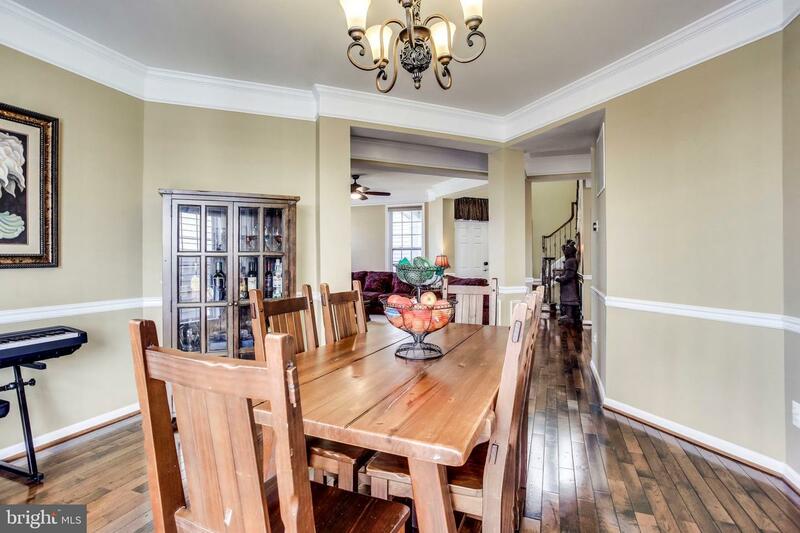 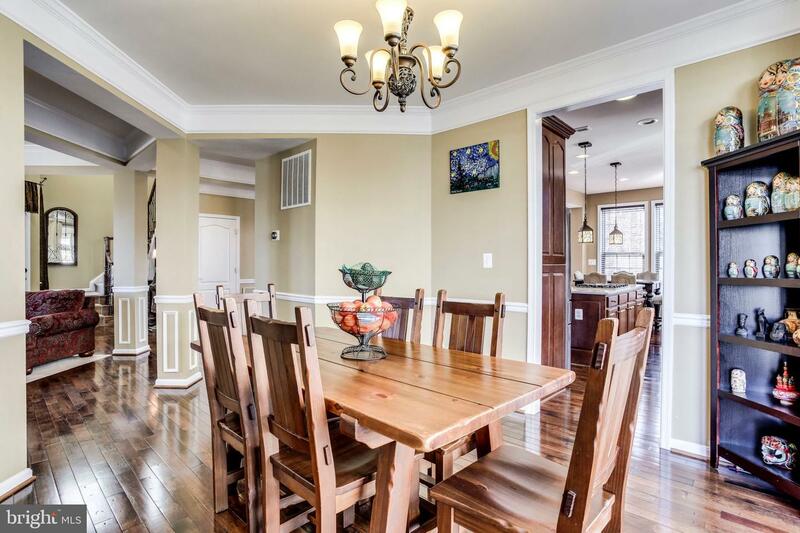 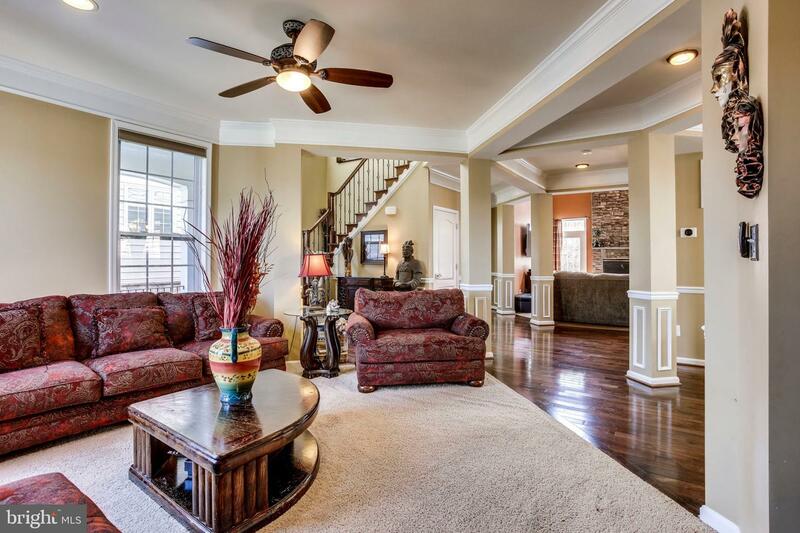 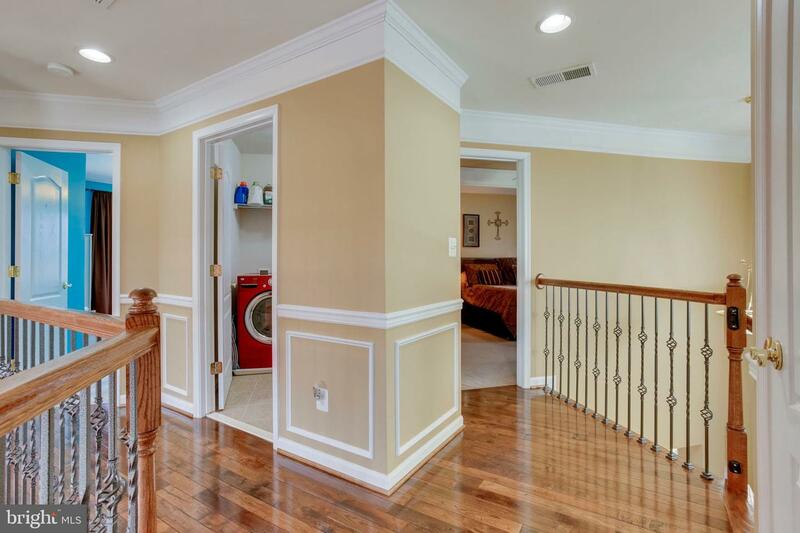 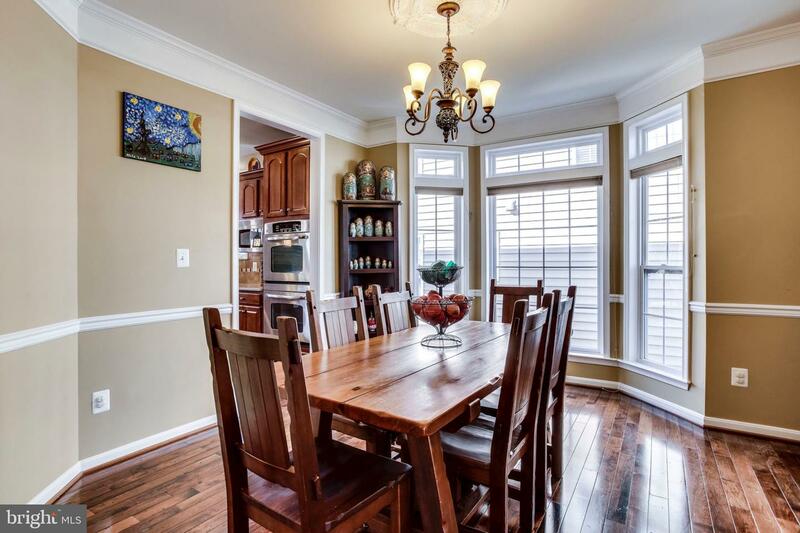 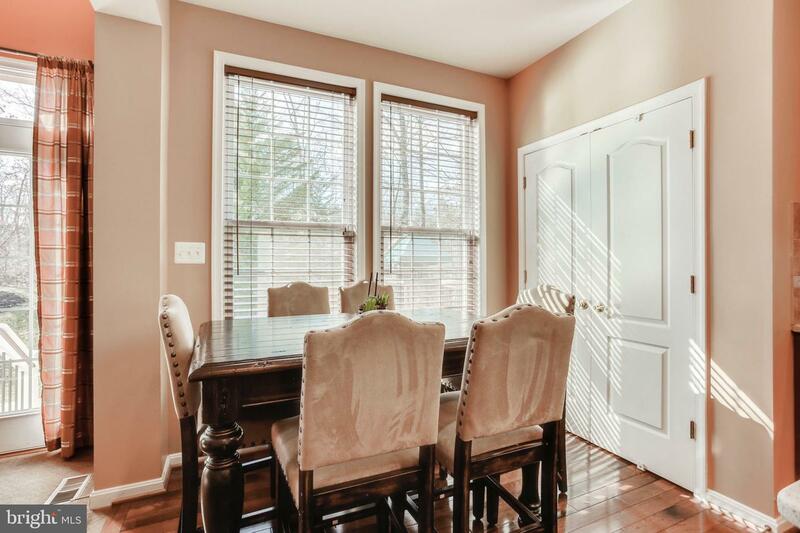 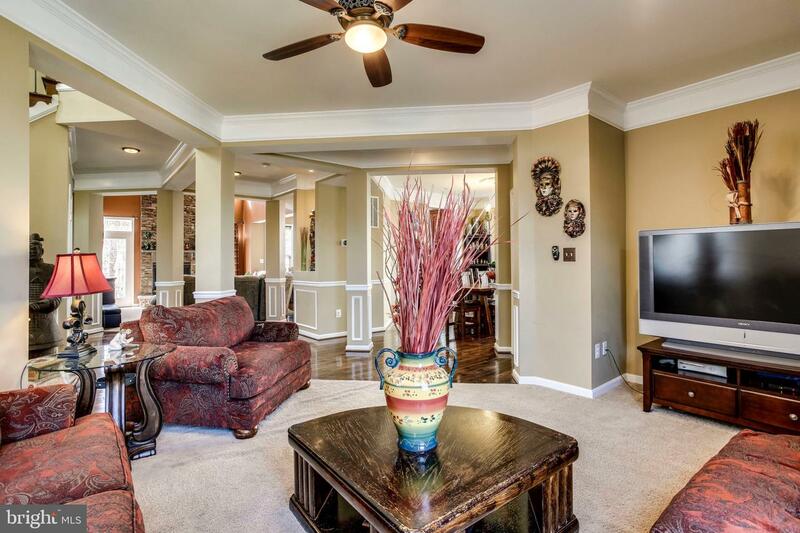 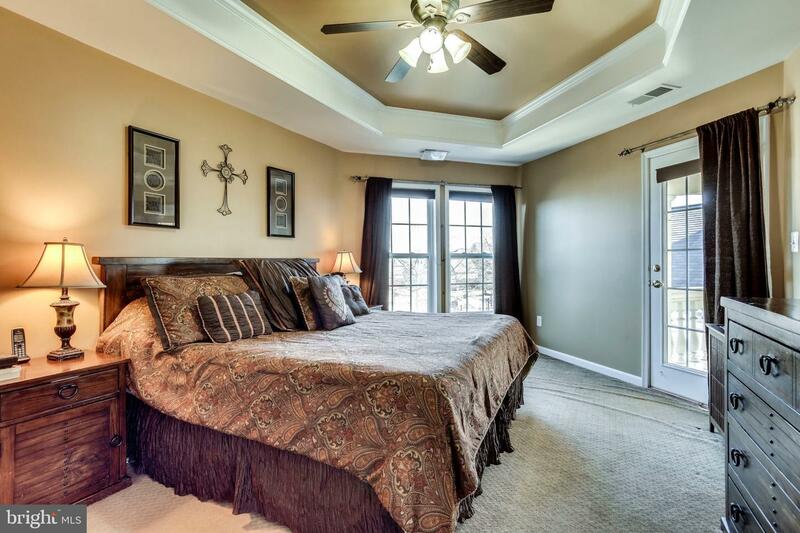 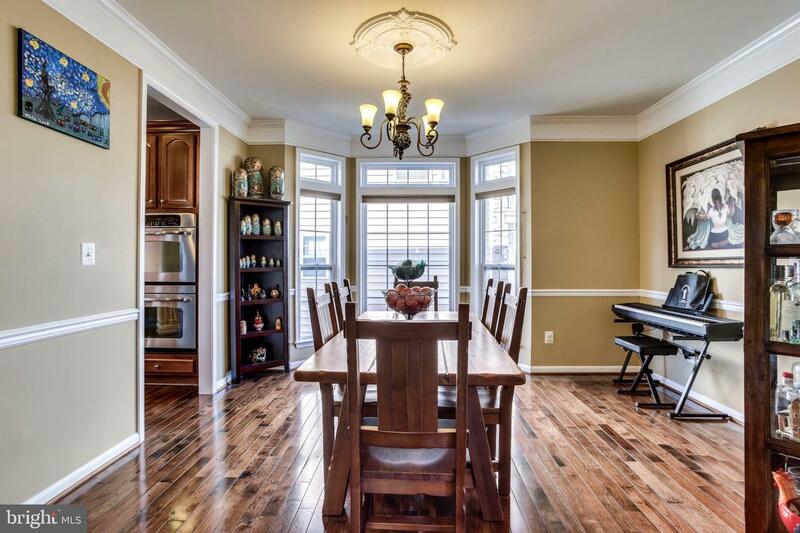 Open floor plan with beautiful hardwoods, extensive moldings/trim, and high ceilings throughout. 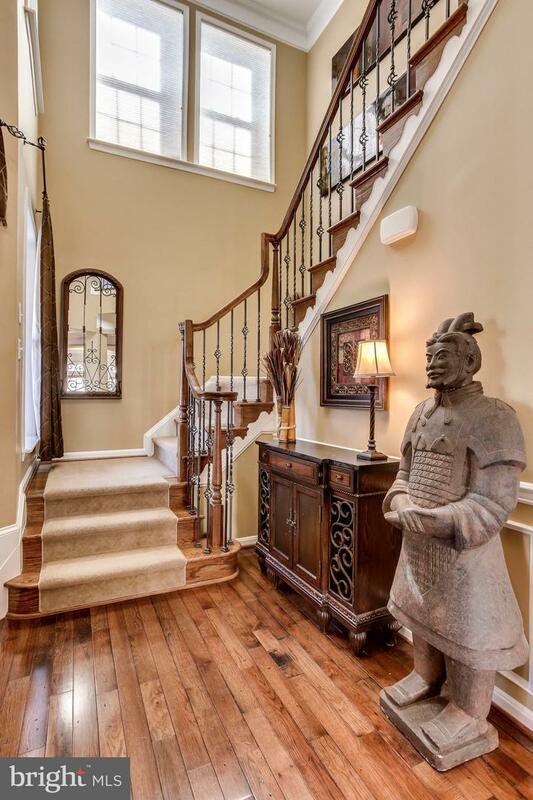 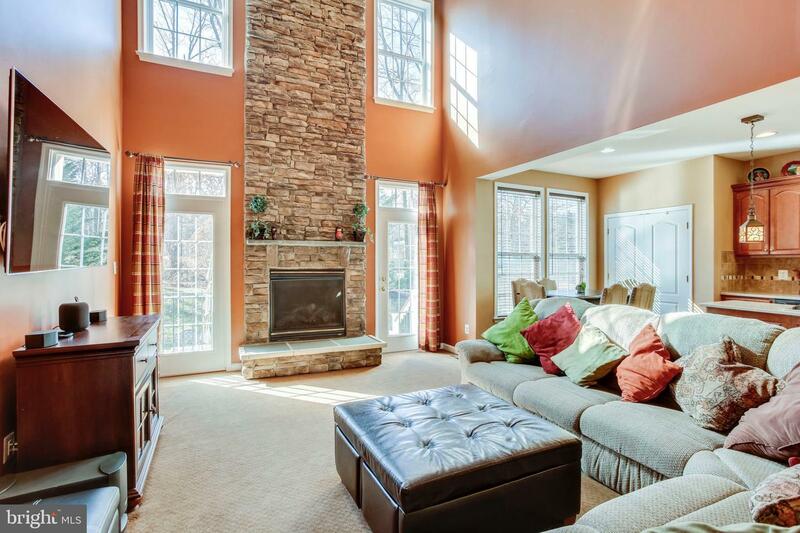 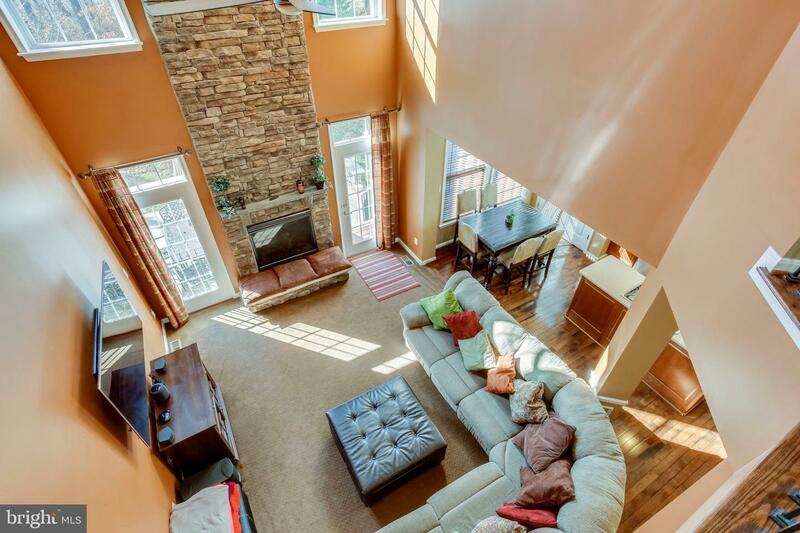 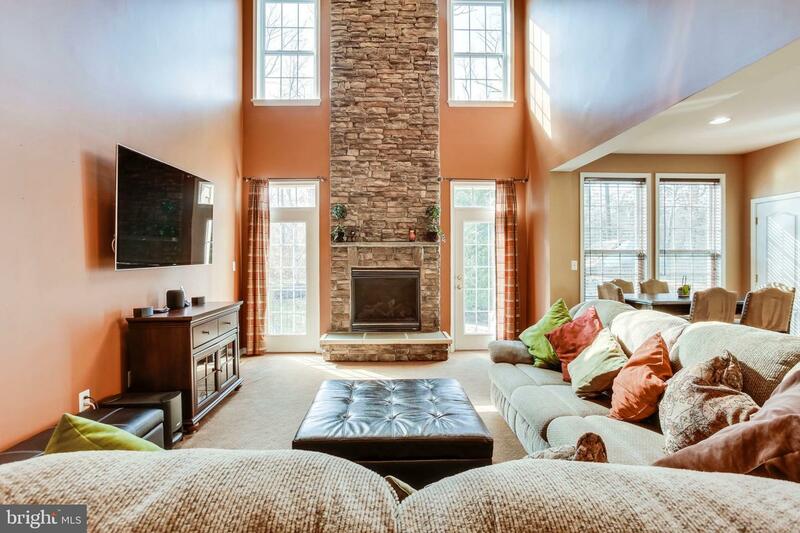 The main level features a spectacular 2-story family room with floor to ceiling stone fireplace. 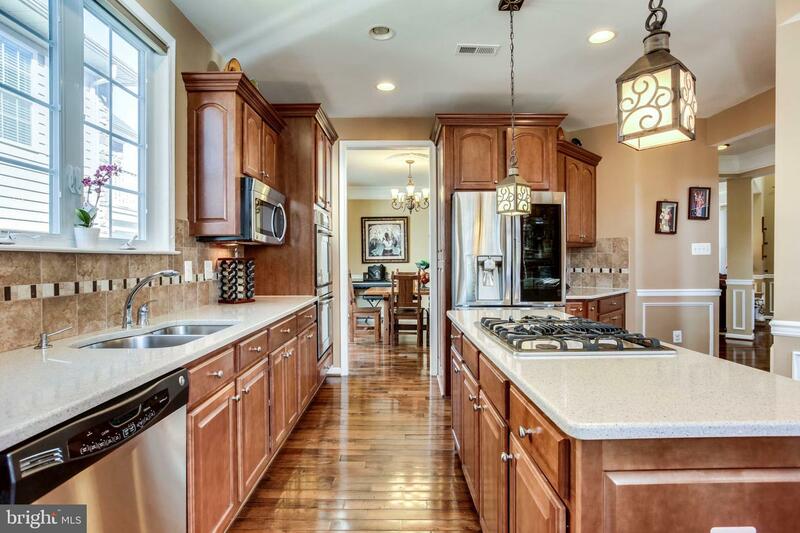 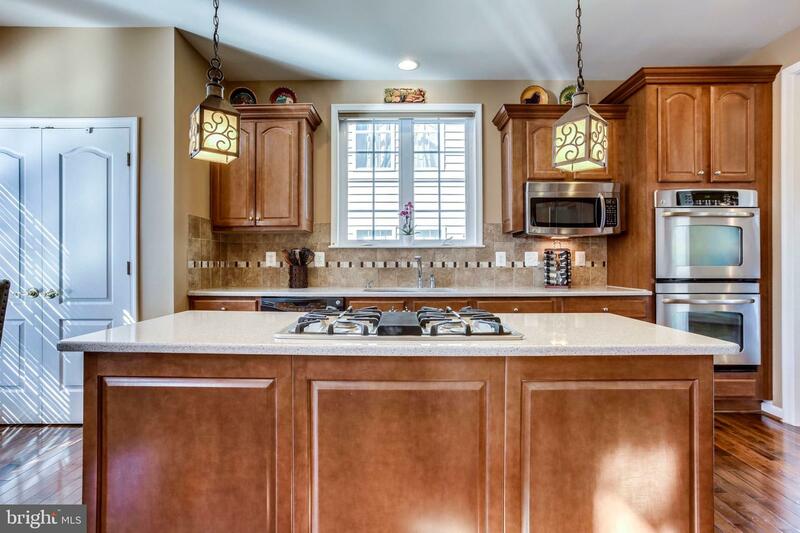 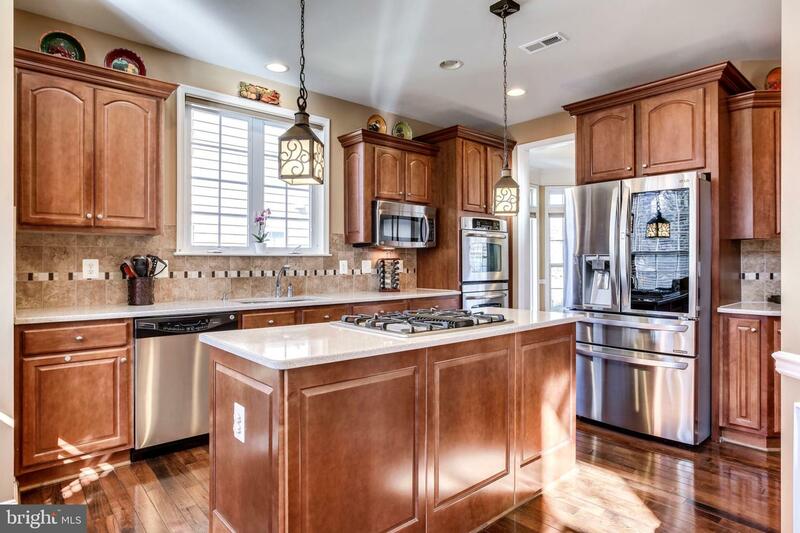 Gourmet kitchen includes 42" cabinets, quartz counters, and stainless appliances. 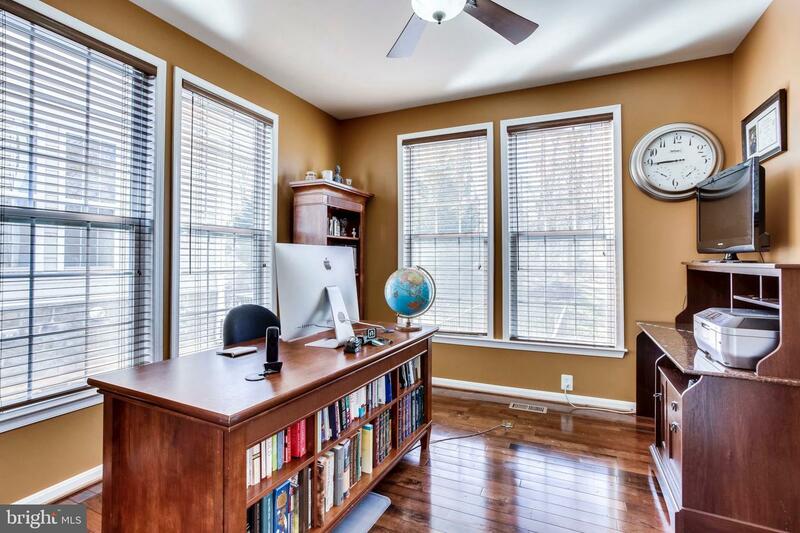 The main level also features a large dining room, living room, private office, mudroom, and powder room. 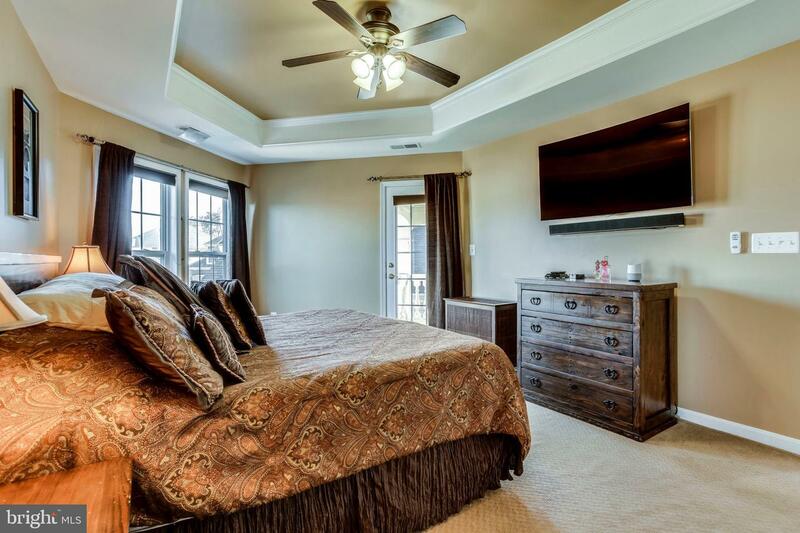 On the upper level, the master bedroom includes tray ceiling, 2 walk-in closets, luxurious master bath, and own private balcony. 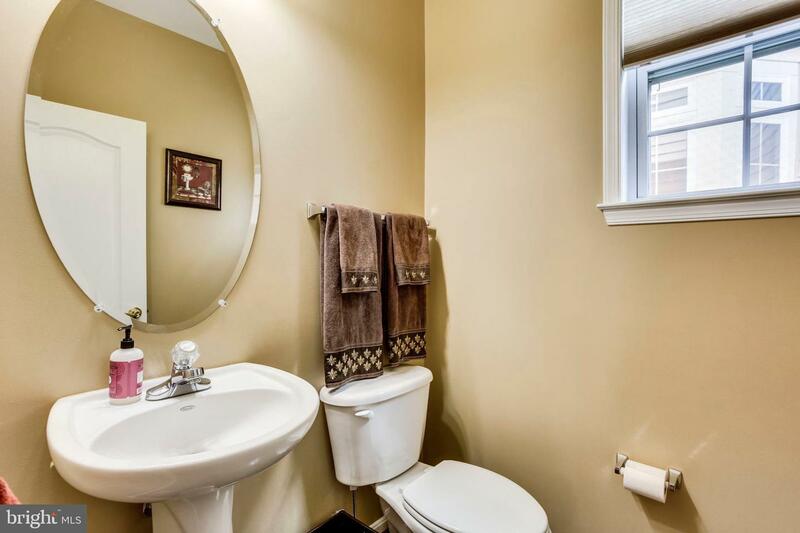 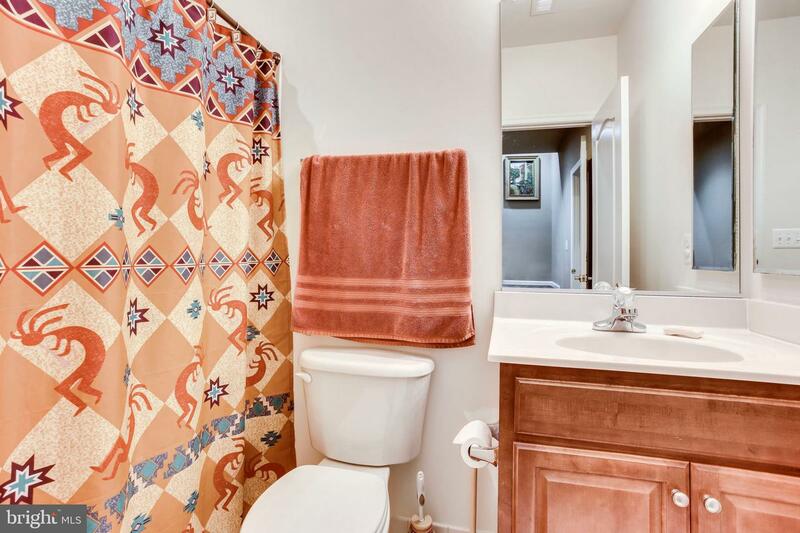 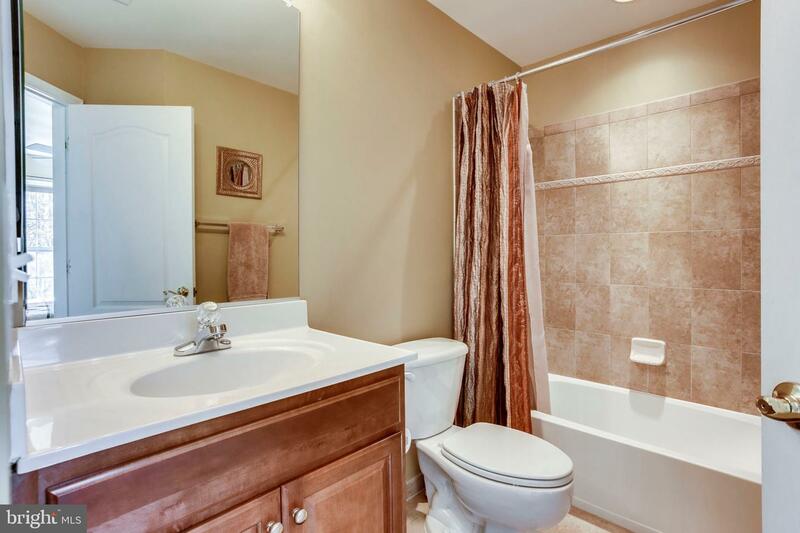 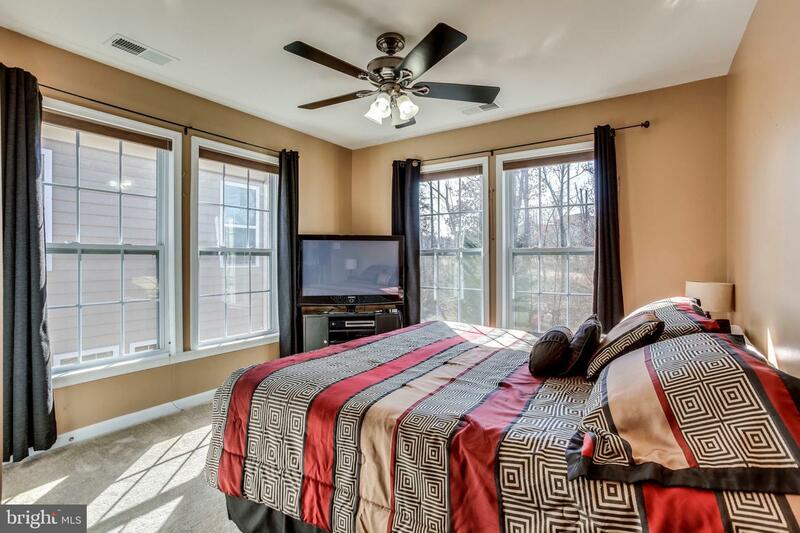 3 more bedrooms, 2 full baths, and laundry room on upper level. 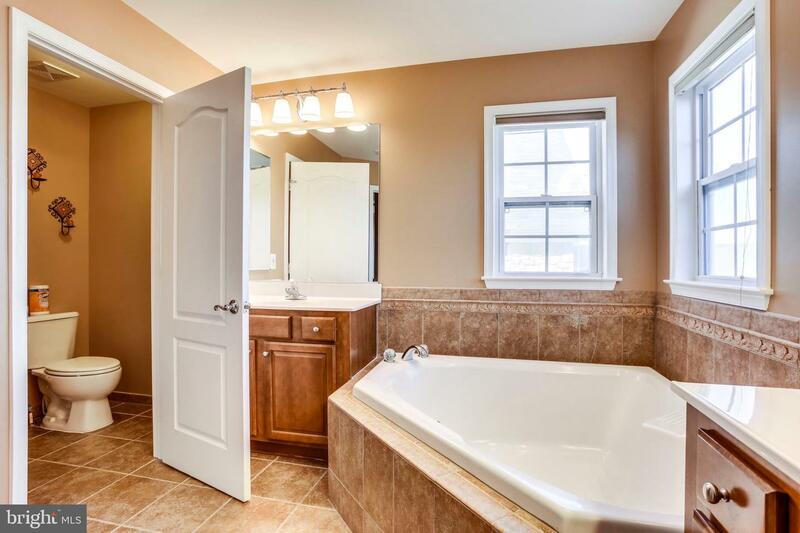 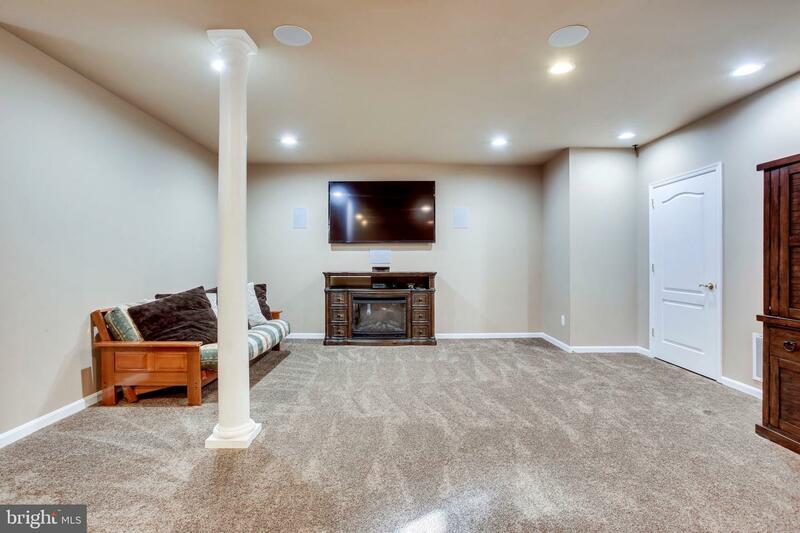 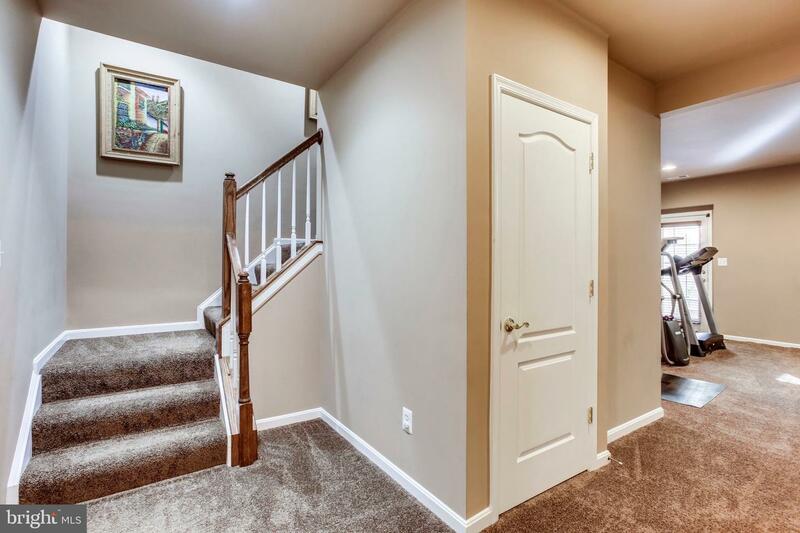 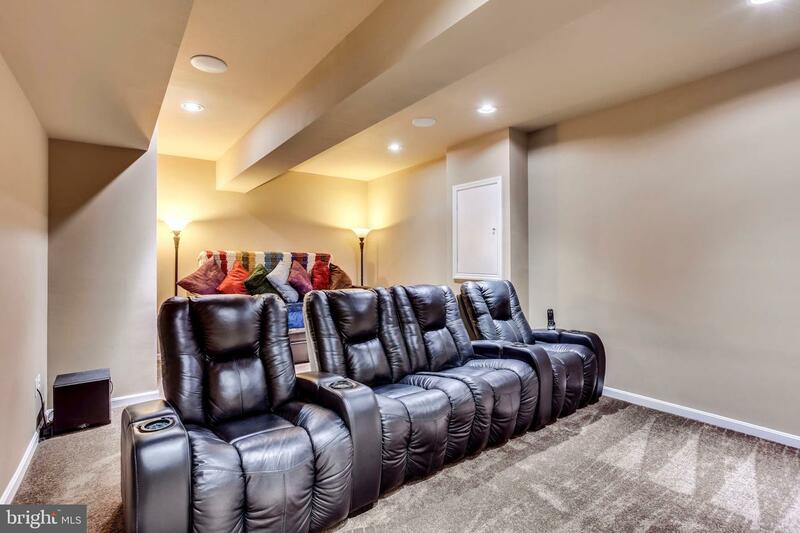 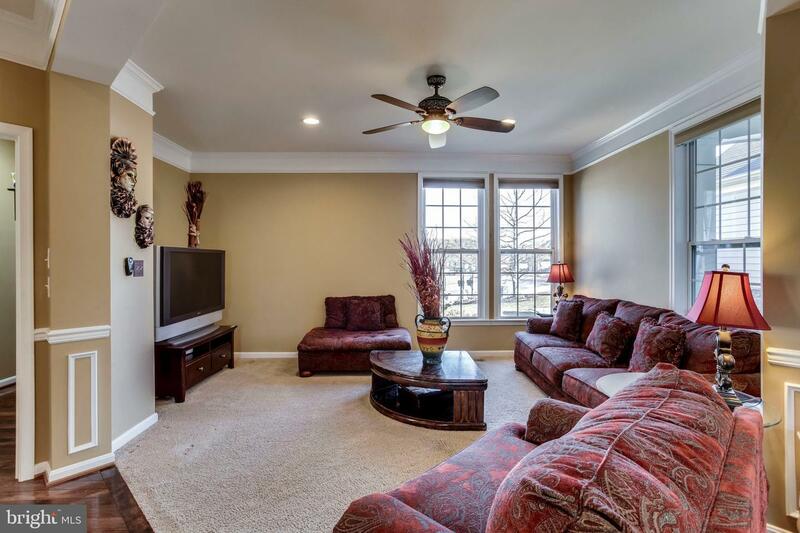 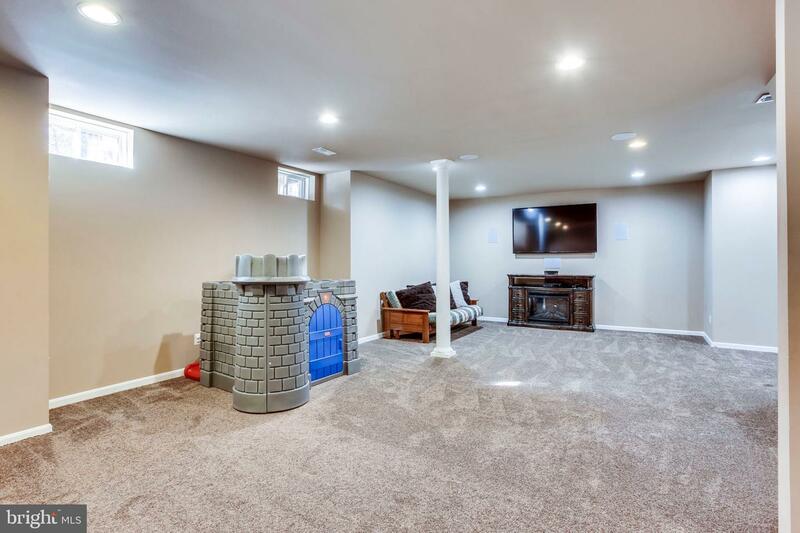 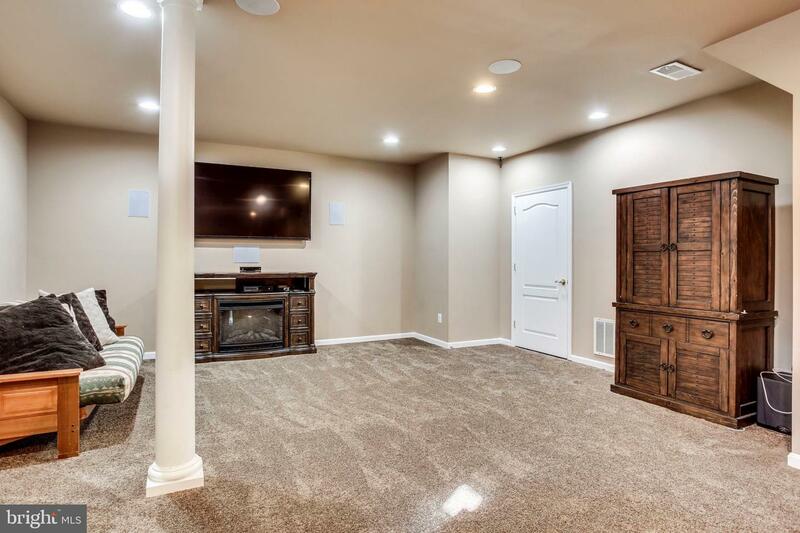 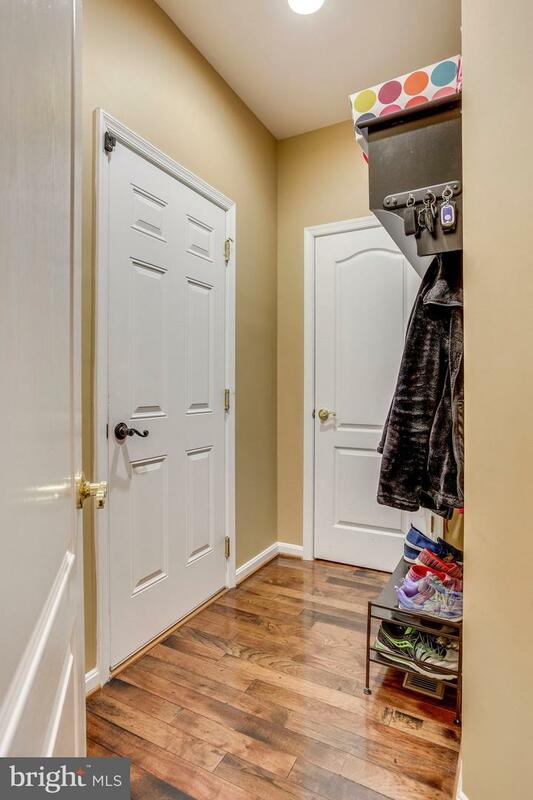 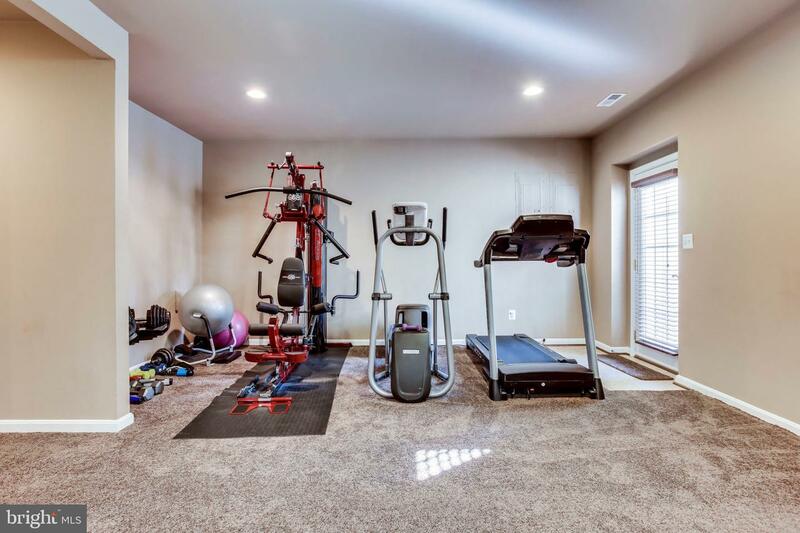 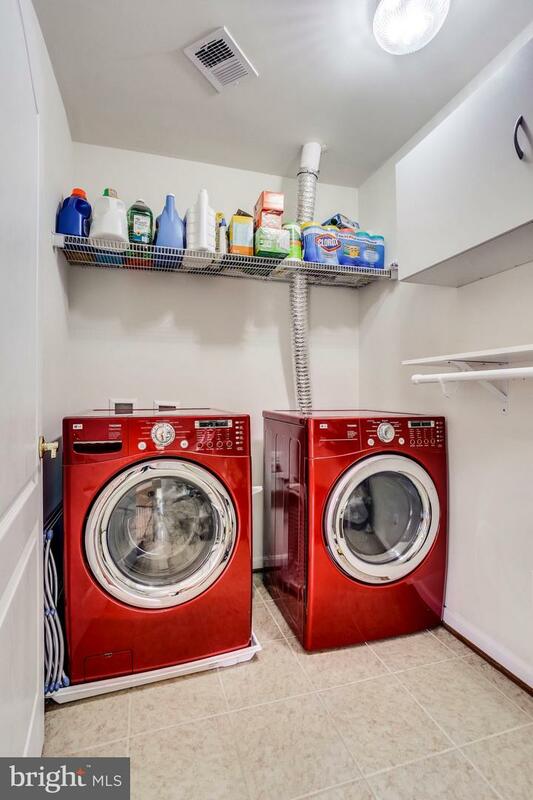 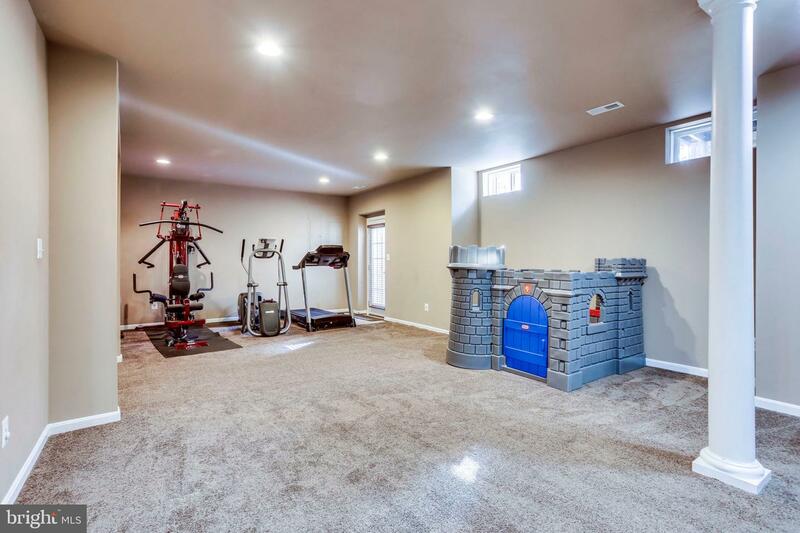 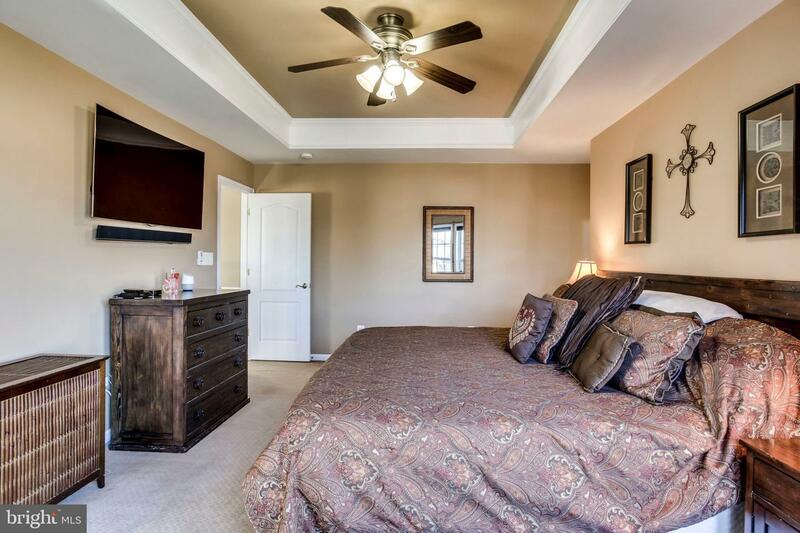 The large finished basement includes a theater room, full bath, huge rec room, and lots of storage! 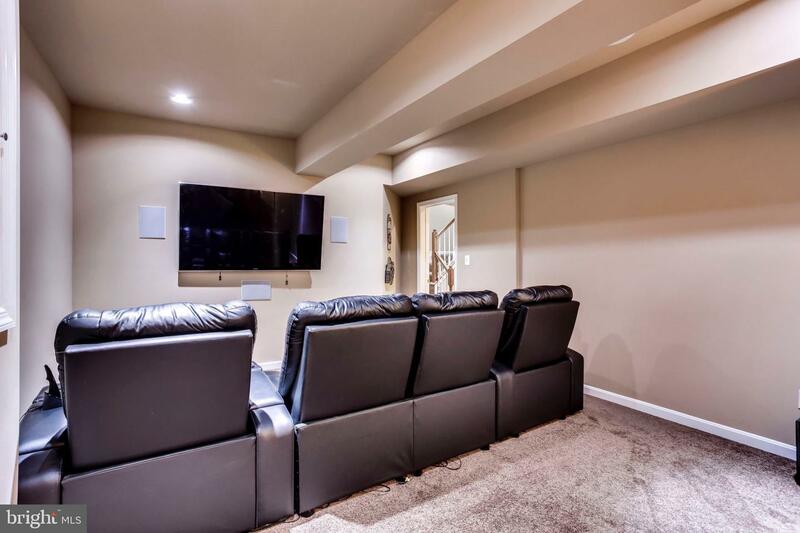 Both theater room and rec room include built-in speakers. 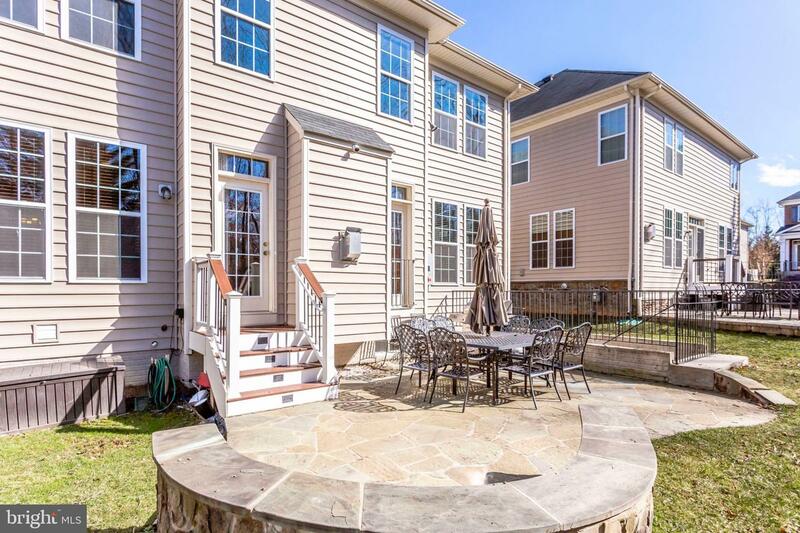 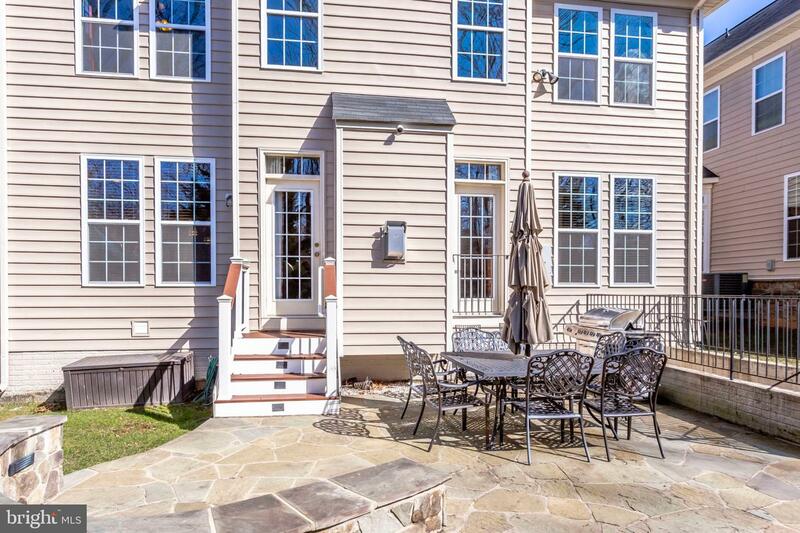 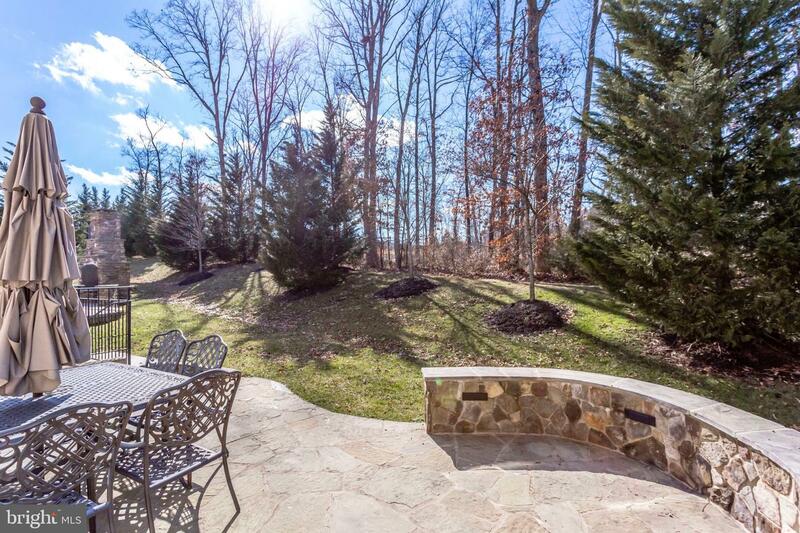 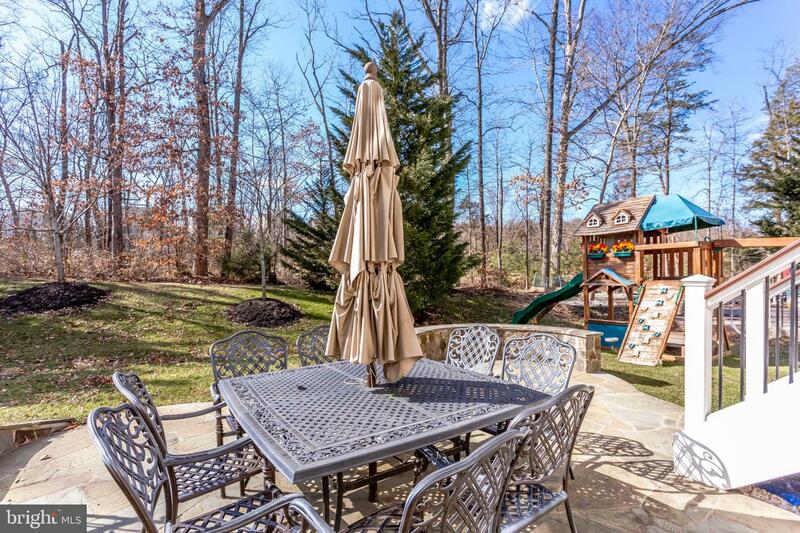 Outside you step out to a beautiful flagstone patio, plenty of grass to play, and lots of privacy! 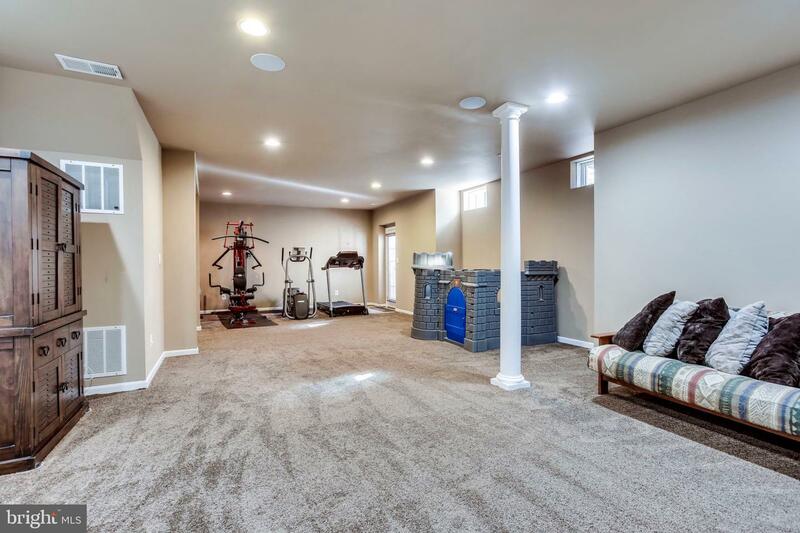 7 zone in-ground sprinkler system, solar panels on roof, and garage ready for electric car charging with 240V hook-up. 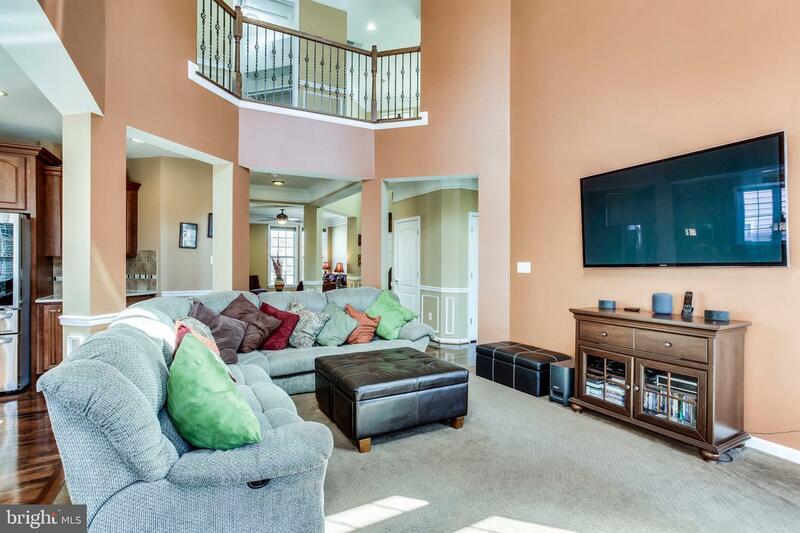 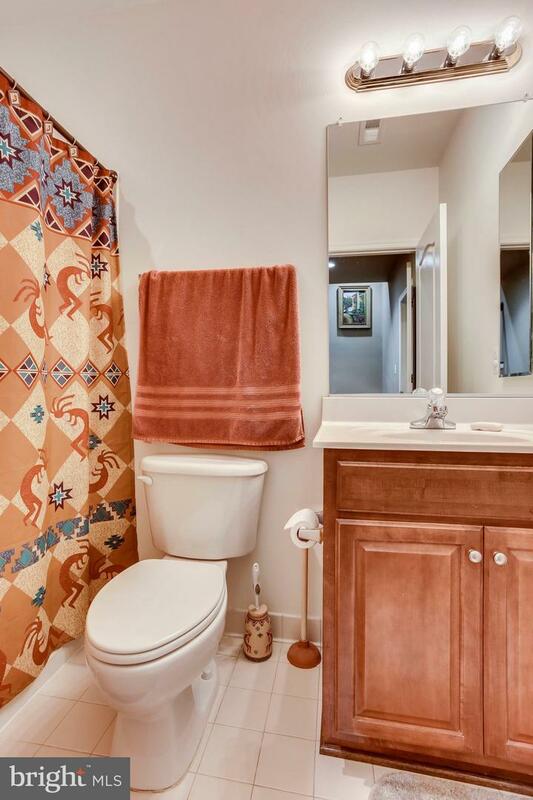 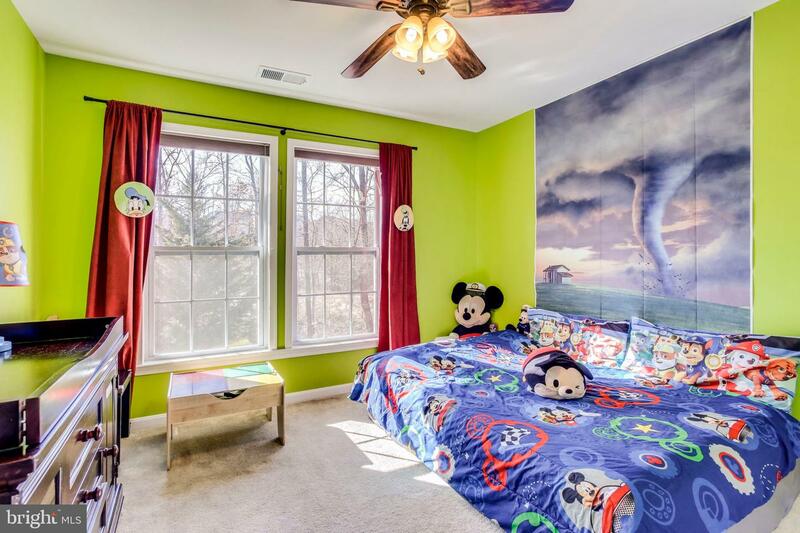 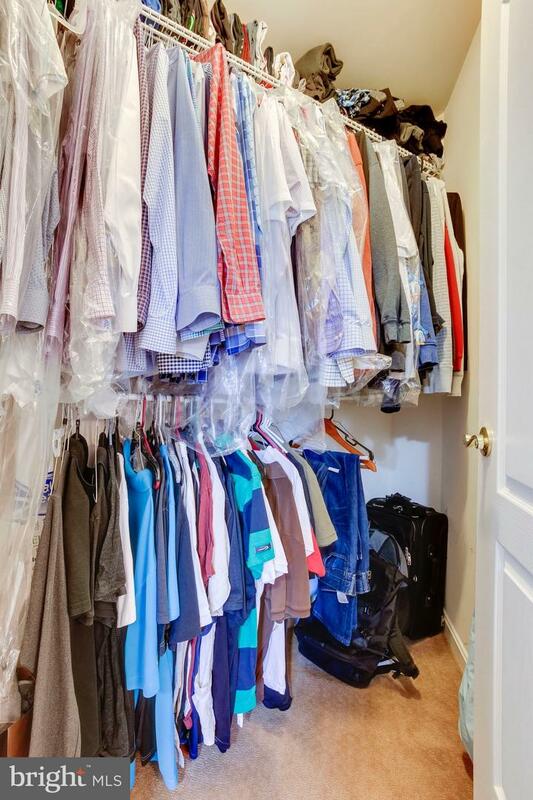 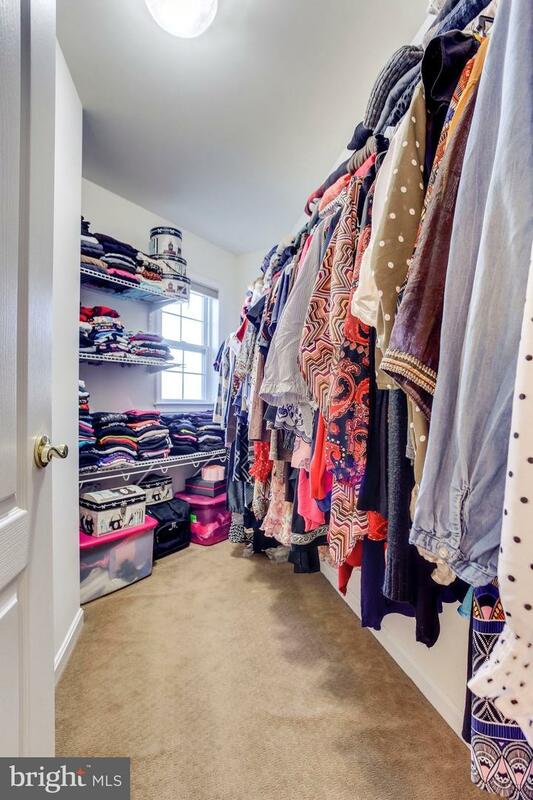 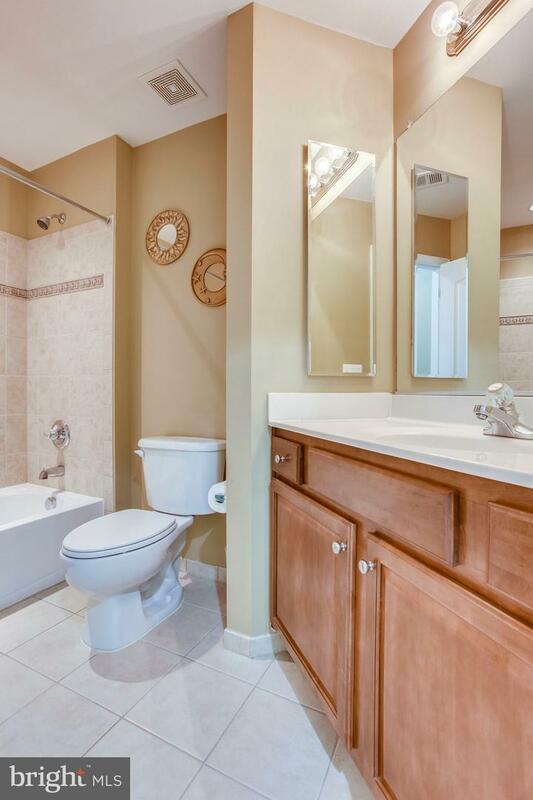 This home has it all - don't miss it!